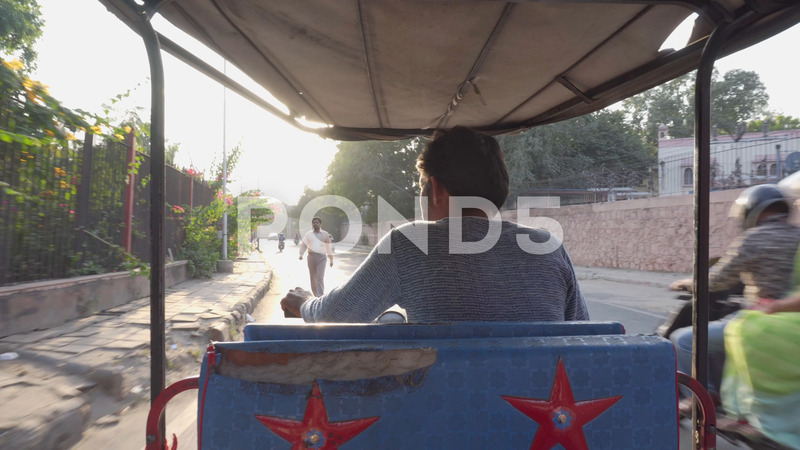 Description: Jaipur, India - 11 November, 2018: View from back seat of auto rickshaw. Day street traffic. Indian roads and traditional local transport (tuk-tuk). Jaipur is a popular tourist destination of India.